Nassos Vakalis, who has worked on a plethora of animated features, loved animation as a kid and wanted to get into it. But growing up in Athens, Greece where animation studios and careers were clost to non-existent, Nassos assumed there would be next to no chance of that happening. Mr. Vakalis turned out to be way wrong. A well-to-do uncle who lived in New York financed a year of art education at the Pratt Art Institute and then three more at the California Institute of the Arts. And the doors to various animation studios swung open. Nassos Vakalis’s first job in the animation industry was with the California studio of Bluth-Sullivan Animation. He started as an in-betweener while still attending classes at Cal Arts, but his strong work ethic propelled him rapidly upward. Starting as an assistant on Thumbelina, Nassos was soon promoted to journey animator. The Bluth studio came to an end a few years later, but feature animation was expanding, and over the next few years Mr. Vakalis worked on a variety of projects. He was a lead animator on the feature Swan Princess and Warner Bros. Quest for Camelot, also animating on Pocahontas II, Titan A.E. and The King and I, among numerous others. 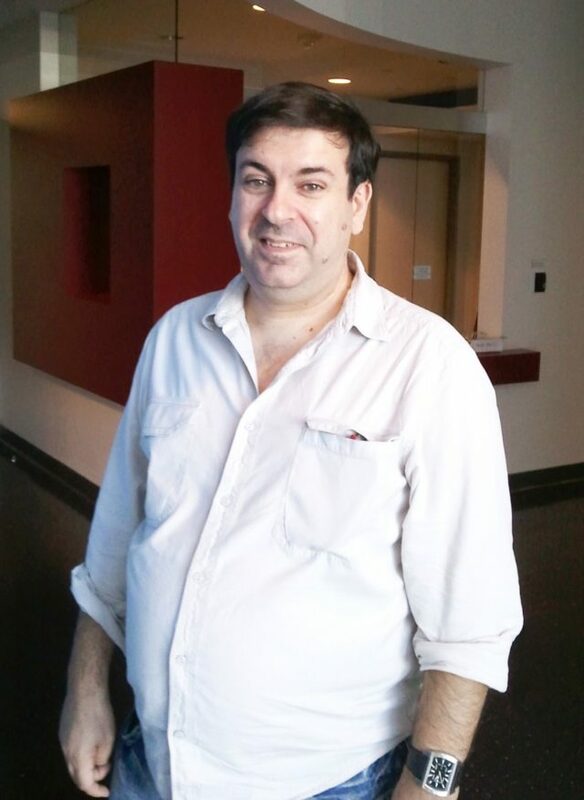 Nassos Vakalis has been one of the story pillars at DreamWorks Animation for a dozen years. One of the pioneers of digital storyboards while most in the business were still drawing on paper, Mr. Vakalis has lent his expertise to a wide variety of DWA features — everything from Flushed Away to Kung Fu Panda to Puss In Boots. And inbetween his DreamWorks Animation assignments, Nassos founded his own company Time Lapse Pictures — which worked on a variety of European commercials and animated features, as well as the Rugrats theatricals that Klasky-Csupo was turning out. All in all, Nassos Vakalis has been a busy animation artist, but that should be apparent as you listen to his TAG interview.